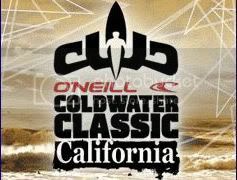 The O’Neill Cold Water Classic Santa Cruz has been upgraded to a 6-Star PRIME and runs in California from November 2 through 8. Stu Kennedy starts in the round of 128 while James Wood and Adam Melling get a run in the round of 96. Good luck fellahs. Stu Kennedy has progressed thru to the round of 96 in fickle frustrating conditions. Stu was coming 4th in the final minute and scored a 6.27 to move to 2nd. 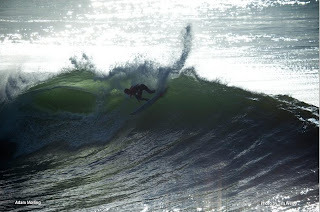 Woody surfed a great heat ,leading for the first 28 mins eventually finishing 2nd and Cruzed into round 3. Stu handled the weed ,smashed his heat leading from start to finish with a heat total of 16.00 and is into round 3. Nice work fellahs. Mello had a good heat and moved into the 3rd round. Woody bowed out in a tough heat in the round of 48. Stuey took a while to get started but looked to be thru until the last 30 secs when he slipped to 3rd and a 3rd round elimination. Mello made it thru to the round of 16 and came really close to taking the $50kUS for the series but could not quite get there with Huey stooging him on his last wave on the hooter. Adam finishes with a 9th and 1925 QS points and solidifys his position near the top of the QS ratings.